Former Karnataka chief minister Siddaramaiah on Friday claimed that his successor BS Yeddyurappa submitted names of only 104 MLAs to the Governor and had no other names in it to prove his majority. Siddaramaiah, while interacting with the media here, said that despite the fact stated above Governor Vajubhai R. Vala's invited the Bharatiya Janata Party (BJP) to form their government, which was "unconstitutional". "Yeddyurappa who has 104 MLAs including himself, in the letter requested for seven days, he had no other name, yet Governor invited him. 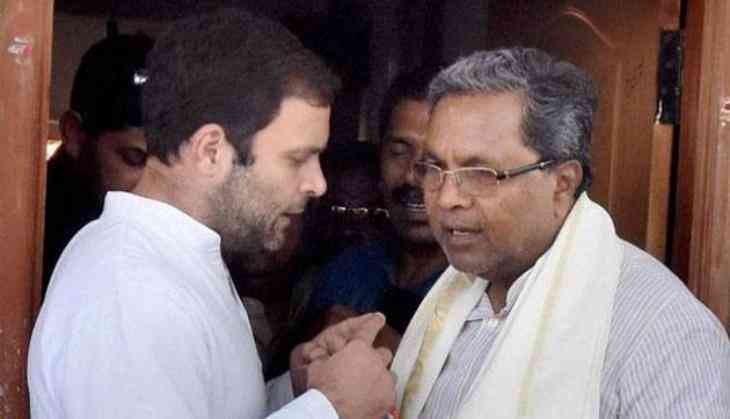 It was unconstitutional, Governor even gave him 15 days time," Siddaramaiah said. B.S. Yeddyurappa, who was sworn in as the Chief Minister of Karnataka on Thursday, has to prove his majority in the state assembly on Saturday at 4 pm, the Supreme Court said earlier today. The decision was taken after the top court heard the arguments for and against the petition filed by the Congress and Janata Dal (Secular), wherein they asked to stay the swearing-in of Yeddyurappa as the Chief Minister of the state.